Lyric Opera of Melbourne continues to enrich the local opera scene with eclectic selections that are beautifully produced. 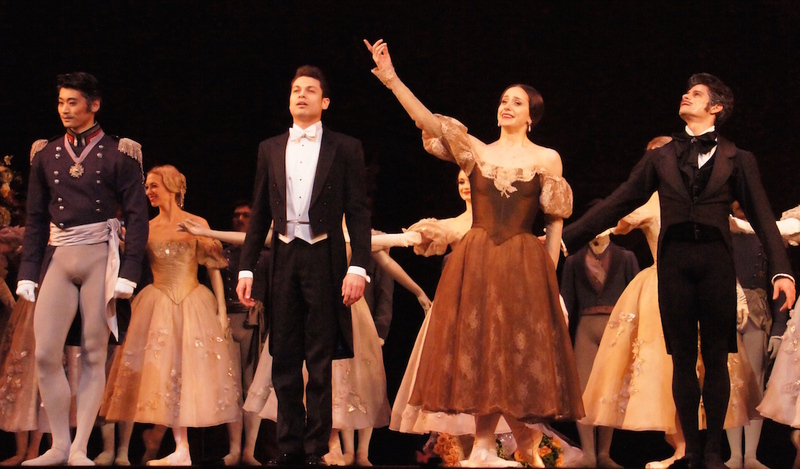 The Japanese Princess is a charming beginning to the company’s 2017 season. 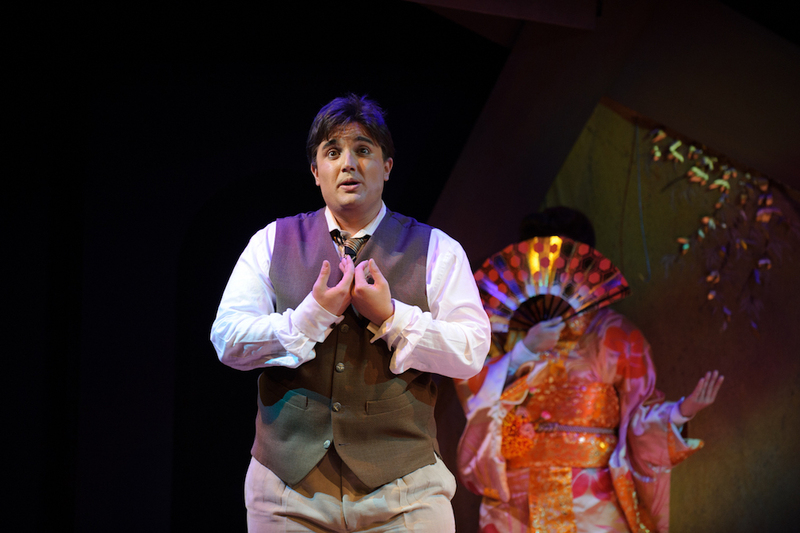 Camille Saint-Saën’s one act opera was composed a decade or so before Gilbert and Sullivan’s The Mikado, and reflects a similar degree of western fascination with eastern exoticism. The featherlight story, which is more of a scenario, sees a young student drink absinthe in the hope of enjoying visions of Ming, the Japanese object of his affection. Happily for his fiancée, he comes to realise that she is his true love. Saint-Saën’s music is the chief attraction in presenting this rarely heard work, and the rather exquisite score is performed with deft accuracy and instantly appealing beauty. Artistic director Pat Miller conducts 16 expertly prepared musicians, with the orchestra arranged comfortably at the foot the stage. While there is a little dialogue near the beginning, spoken in English, the piece soon flows on as a charming chamber opera for two voices. 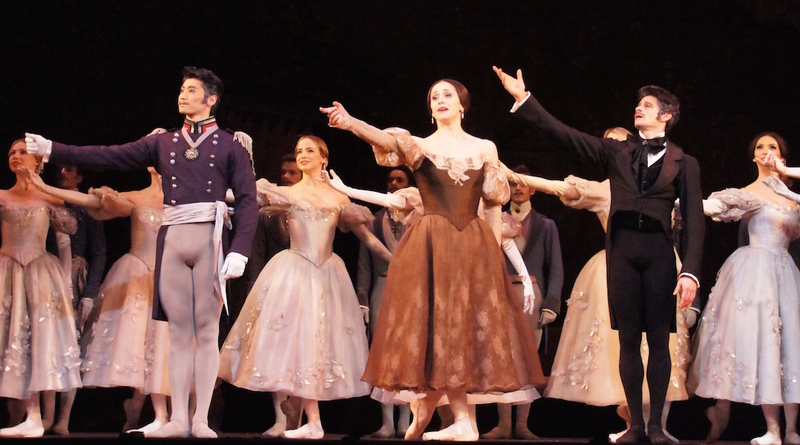 The company’s masterstroke for this season has been the engagement of a Japanese director. Miki Oikawa brings an authentic angle to the staging, shaping the novelty of Saint-Saën’s composition so as to bring a grounded sense of realism to proceedings. The careful use of Japanese clothing is a feature of the staging, with Oikawa making the particularly clever choice of representing the portrait of the Japanese Princess with a humble hanging costume. Oikawa has added a third role, played by Arisa Yura, which is billed as a dancer and also acts as a stage mechanical and a physicalisation of the student’s dream girl. Yura supports the singers graciously, allowing them to perform the central story without distraction. Christina Logan Bell has contributed charming scenery, in which the suggestion of a dwelling is enhance with colourful, non-naturalistic representations of fields of flowers and a rippling stream. Consideration has been given to placement of projected surtitles, adding to the well-finished staging. 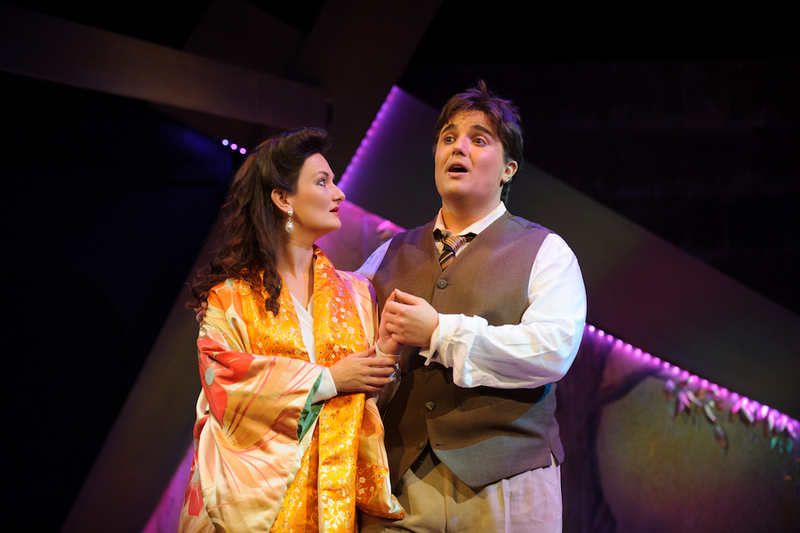 In addition to singing, tenor Robert Macfarlane and soprano Kimberley Colman are both required to speak, and each delivers pleasant vocal tone in speech. Their singing voices are both lovely, blending naturally with each other and with the instrumental music. Macfarlane sets aside his boyish appearance aside to portray the angst and passion that the student feels. 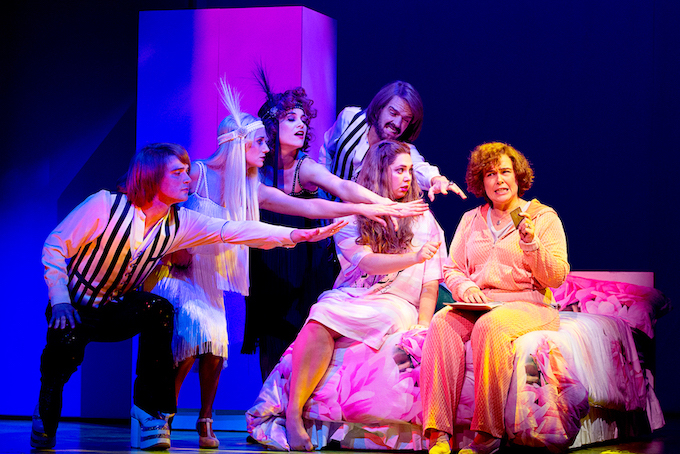 Colman brings a sense of vulnerability to her role, having the audience on her side in the initially one-sided romance. The Japanese Princess is presented in repertory with dual casts. 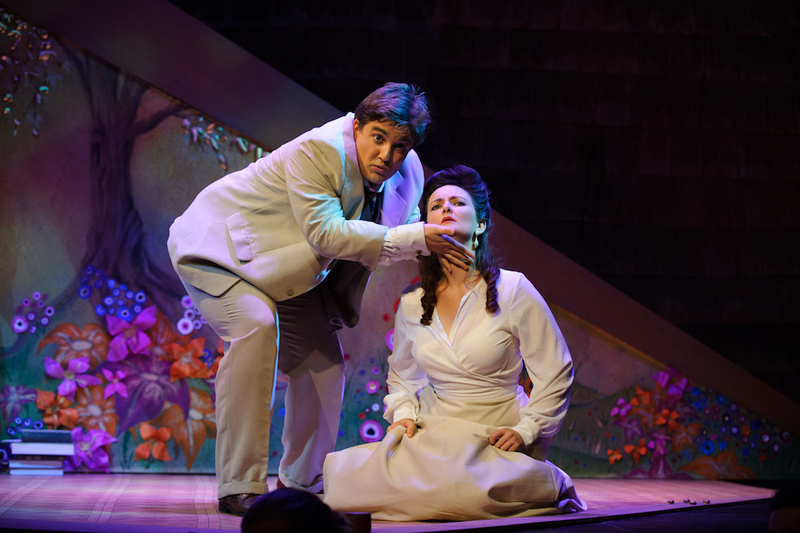 Hew Wagner and Kate Macfarlane take the lead roles at alternate performances, allowing the presentation of an early show and a late show on each date of the season. 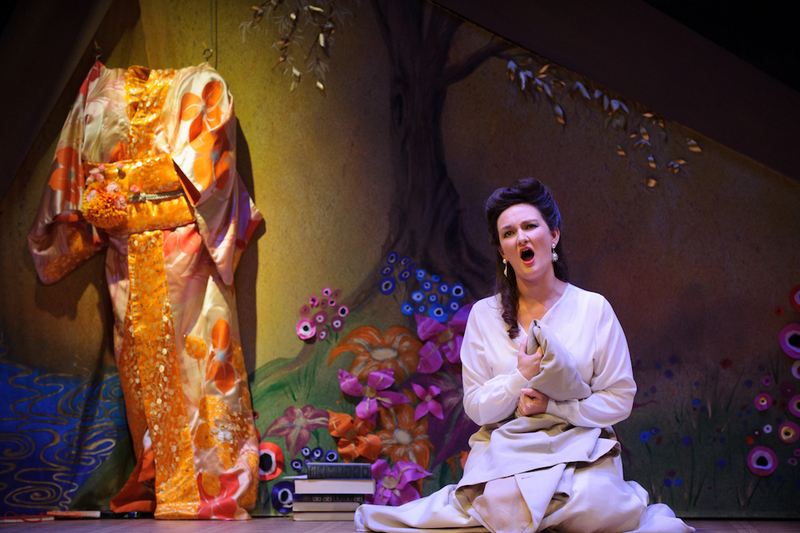 Spoilt for choice this week, Melbourne’s opera aficionados are encouraged to experience the simple pleasures of The Japanese Princess. 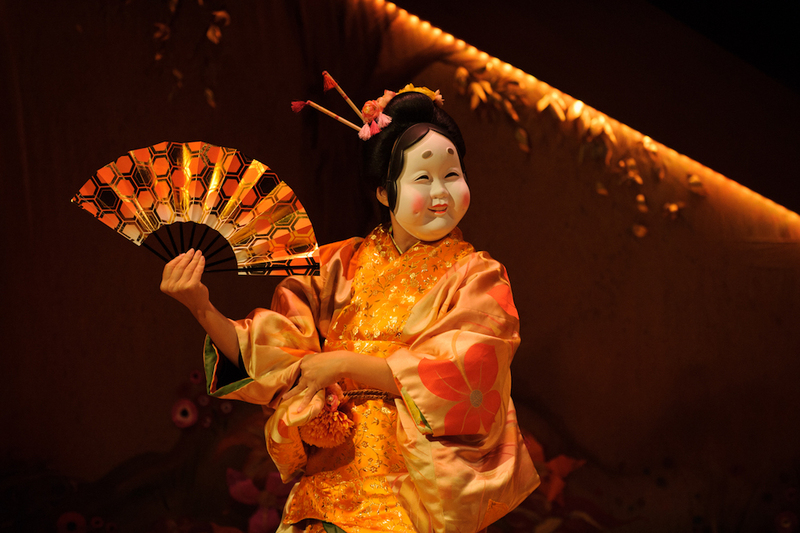 The Japanese Princess was reviewed on 15 March 2017 at Chapel off Chapel, where it plays until 18 March 2017.